In 2016, I think it's time this coaching staff begins to value the 1-technique. Nick Hayden, while a serviceable player, doesn't really give you much. Yea he will plug the middle fine, but he is by no means an impact 1-technique and fails to consistently make plays in the backfield. When I look back on this season, I remember the Philly game in week 2. 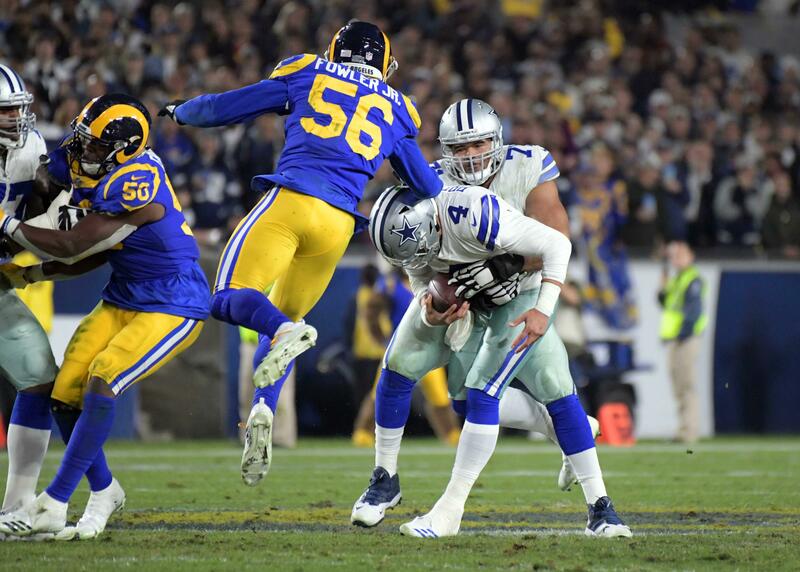 The defense in that game, as a whole, was phenomenal, and I can’t help thinking that had, at least, something to do with Terrell McClain playing like a man on fire. McClain was in the backfield all game, disrupting timing. If you remember in that game the DEs were making tackles for losses and the Eagles could not get anything going. I attribute that to the amount of attention the offensive line had to pay to the interior of our defense with Tyrone Crawford and McClain causing havoc. McClain could be a viable option if not for his durability concerns, so I'd like to see the club look elsewhere in the offseason. Darren McFadden really proved himself to me this season. The last offseason when he was signed I honestly did not expect him to beat out Ryan Williams and make this roster. Well, he sure shut me up fast. When Randle was getting the bulk of the carries early on, McFadden in his limited carries did not produce. It wasn’t until McFadden was given a full workload that we got to see why the Cowboys signed him in the offseason. This time last year, people were calling for the Cowboys to draft or find the replacement for Doug Free. Whether it be for productivity or health issues, last year Free was the target of some criticism. I believe over the course of the year, Free shut the haters up. He was healthy throughout the season, and unlike last year, protected very well. 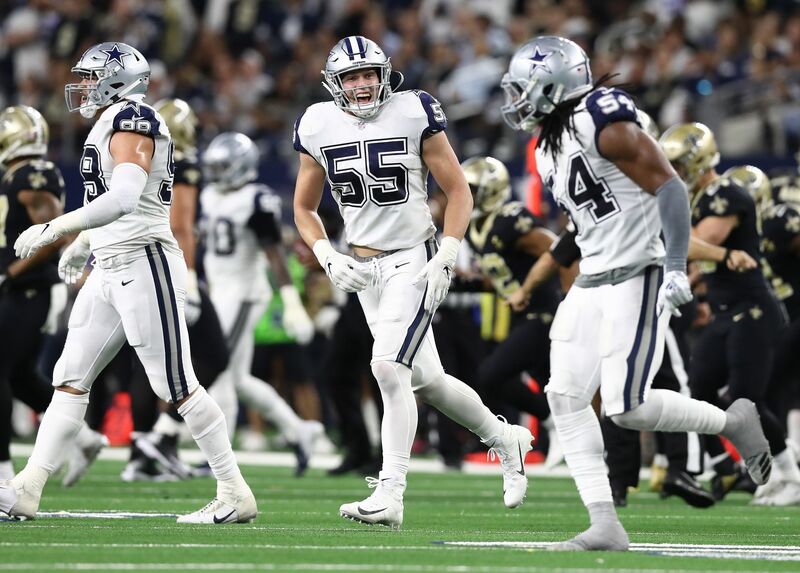 It became incredibly crucial for Free to play well the final 2 games of the season, as Kellen Moore’s blind side was the right tackle, not the left. Free was up to the challenge and protected well. Free’s presence as the grandfather in the locker room cannot be overlooked as I truly believe he has played at least a small part in the younger lineman's development. While not having a very impactful Rookie Campaign, I think Randy Gregory has a great chance of becoming a good player in this league. While he never officially got credited with a sack, he was in the backfield a ton and impacted a number of throws that lead to positives for the defense. Where he must improve is developing more pass rush moves. Gregory always tries to use his speed, dip his inside shoulder, and get around the tackle. This is a fine move, unless you don't have any other moves to set it up or keep the tackle guessing. If you wanna be a one trick pony, that trick better produce sacks like the signature Dwight Freeney spin move. If there is one more thing Gregory needs to work on it's his feel for his depth when rushing. Too often he would run past the quarterback leaving a very nice pocket for the quarterback to step up into. With all that said, I've seen enough from Gregory this year to assume that he will have a Demarcus Lawrence type of year #2. Speaking of DeMarcus Lawrence, it was amazing seeing the kind of transformation he had this season. I remember seeing pictures of him last offseason and thinking how much bigger he looked. This season proved it, as switching from RE to LE is not an easy transition. Going against RTs instead of LTs means you must put on size, as the RT is more of a power position. It was amazing to see Lawrence gain the size and not lose a step on the field. All season he was causing havoc in the backfield, and although the sacks started to come late he was getting close to the quarterback all season. To me, though, what's more impressive than the sacks is that game after game it seemed he was making a big stop in the backfield. Both defending the run and rushing the passer, "Tank" Lawrence made great strides this season. I really hope to see Lucky Whitehead and Brice Butler get more opportunities on offense next season. I can’t help but feel like we have seen the last of Devin Street in a Cowboys uniform. After being given ample opportunity to produce, with Dez Bryant being out and Terrance Williams not playing well, Street was unable to make an impact and failed to get open consistently against 1-on-1 situations. Brice Butler made big plays seemingly every time he was given a chance; he is a vertical threat and plays big with his size to win contested catches. 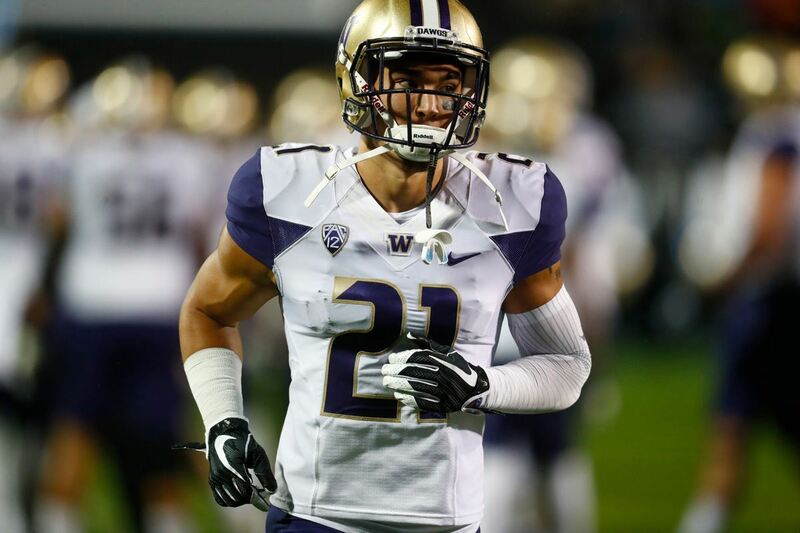 I'd like to see Butler compete for the number 2 WR next season. Lucky Whitehead was dangerous every time he got the ball, and I wonder why it took so long for the coaches to give him opportunities. I think both WRs have bright futures, maybe even bright enough to withhold from drafting a WR this year. I think we have really found something with the young defensive backs on this roster. Byron Jones had an amazing rookie season, doing something that is unheard of by playing all over the secondary as a rookie. His season was well reported on InsideTheStar.com so I will focus on the play of Terrance Mitchell and Deji Olatoye. Both players were thrown into the fire late in a lost season and I think they both responded well. Actually, they got the only two interceptions from corners on this season. Mitchell has the feistiness we saw at times from Tyler Patmon but he has far more upside. Olatoye - at 6-1 - is a big corner with a lot of upside. I think both of them have a future role on this team. 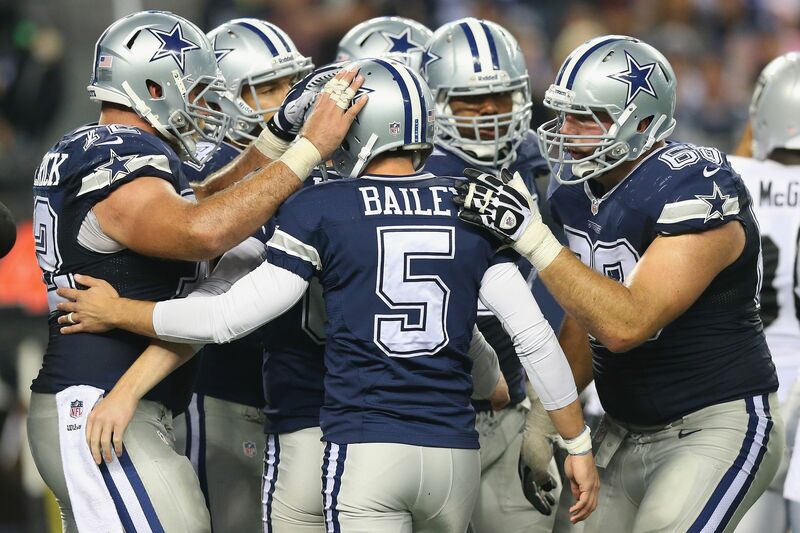 I know it doesn't have to be said but this year especially Dan Bailey was unreal. Looking past his near perfect field goal percentage and perfect extra point percentage, Bailey was almost supernatural kicking off this year. He allowed only 23 returns all year after allowing over 40 in every other year of his career. We fans often take him for granted but seeing all the missed extra points and teams shuffling through kickers, I realized how lucky we are to have Dan. La’el Collins has a chance to be the best of all our offensive linemen. He is an athletic freak; I’m sure we all saw him go stride for stride with Darren McFadden. He needs work on the mental aspect of the game as it seemed all of the sacks given up were a mental lapse. If he continues to develop as expected, we will have 4 pro bowlers very soon. Nobody wants to hear about the punter, but sorry, Chris Jones had to sneak past the NFL and took steroids or something this year (kidding obviously). He killed it after most of us thought he would get beat out by the rookie in training camp. He improved tremendously this year compared to last and was one of the best punters in the league all season. It's weird to say but he was probably the biggest pro-bowl snub on this roster.